The TTS-1WCREE is a premium quality universal 1 Watt CREE XP-G2 LED ideally suited for usein Petzl headtorches. This upgrade is designed for maximum light output to our specification. This LED upgrade is the brightest available replacement for the standard bulb to fit the Petzl head torch that we know of being produced anywhere in Europe rated at 1 watt. 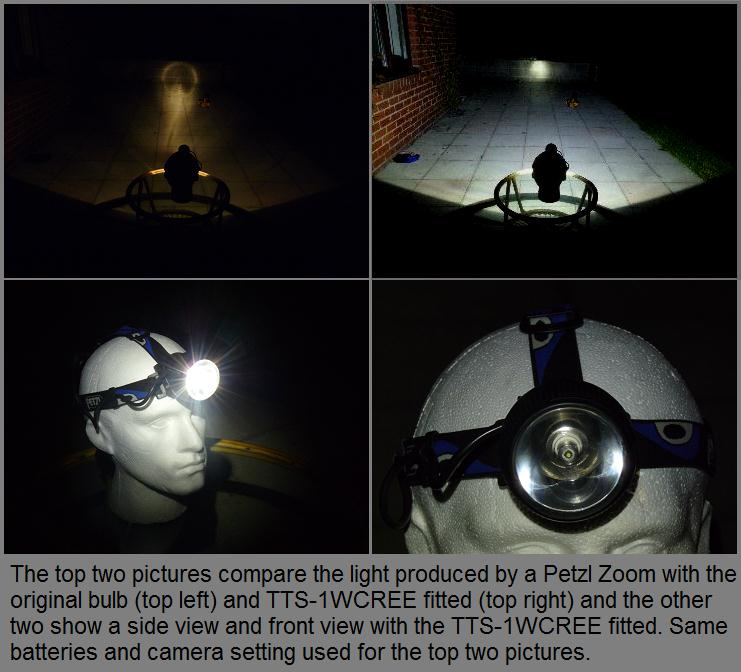 We have upgraded both the Petzl Duo and Petzl Zoom with this bulb and the change in performance is incredible. This bulb also also has a wide voltage band of 2 to 9 volts, so operates in most 2 to 4 cell Petzl headtorches. 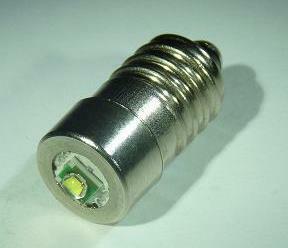 This bulb also is compatible with many other torches and headlamps which use the MES base such as the FX2 cave lights. This LED bulb has non polarised contacts (it isn't dependant on which way the batteries are pointing or current flow direction to work). 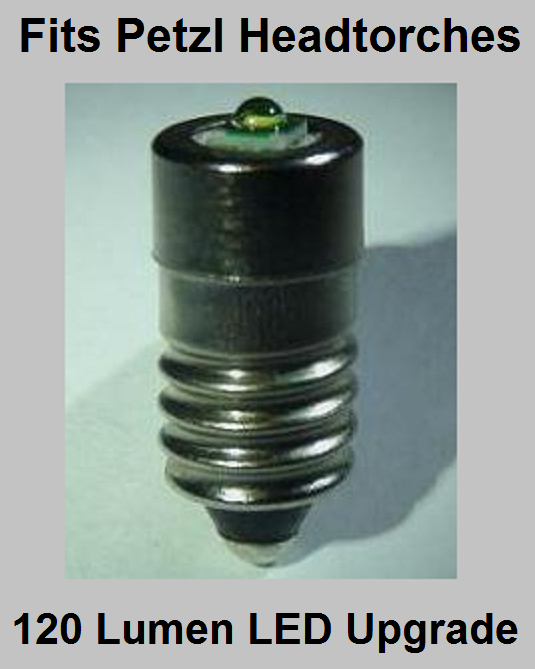 • Available in common / standard flange base or screw base. Longer battery life results from the circuit built into the unit which completely utilizes the power from the batteries, whilst maintaining constant light output. The TTS-1WCREE (screw base) is compatible with the following Petzl headlamps Zoom, Zoom ADP, Chrono, Mega, Megabelt, Mega Belt Clip, Arctic, and Arctic Clip series headlamps. Your LED bulb will be carefully packaged and dispatched by Royal Mail 1st class post. Allow 1 to 2 working days for UK delivery. For shipping to other European and Worldwide countries this item with packaging weighs just 20 grams, please refer to shipping for prices.